Participatory action research transforming local food systems in India, Iran and Peru Michel P. Pimbert, Periyapatna V. Satheesh, Alejandro Argumedo and Taghi M. Farvar 1396 In Everyday Experts: How people’s knowledge can transform the food system, p.99. 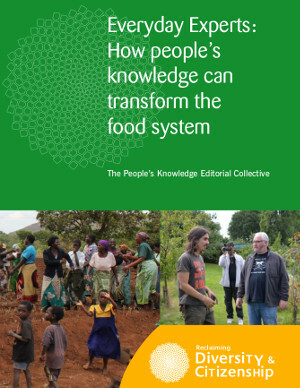 People’s Knowledge Editorial Collective (Eds). Reclaiming Diversity and Citizenship Series. Coventry: Coventry University.